Or in English, The Feather Islands. And visited a local café. With the fearsome skulls of pike. Discovered many places to explore. For more adventures, please visit: Our World Tuesday. Posted in Our World Tuesday, SwedenTagged adventure, boat, Feather Islands, Fjäderholmarna, pike skulls, StockholmBookmark the permalink. Hi! Nice trip to Feather island.We also would call a crane as a giraffe. I like the first and the last photo very much. Thanks for sharing. Thank you for introducing me to nooks and grannies of the world I’ll probably never get to visit. My mother would definitely approve of the the sign “Life is short. Eat dessert first!” She would probably even applaud your starting the day with ice cream too! And the crane – what a hoot! what a neat place! loved that giraffe! i love that giraffe crane! how clever … paris has tons of cranes dotting the landscape, you’d think parians being so chic they’d dress up/camouflage theirs … what a fun outing … and i agree ice cream is best eaten as an appetizer vs dessert!!!!!! Wow, feather island seems wonderful. The giraffe crane is so unusual. the giraffe crane is very cool. how neat to paint it like that. I had to laugh at the sign in the shop. It could just as easily have read: Life WILL BE short, if you always eat dessert first. 🙂 What a heavenly place for explorers. Your last photo of the island reminds me so much of Venice! What a delightful place and what a fun trip!! Love the giraffe!! A great start for my day, Fiona!! Thanks for sharing!! I enjoyed the journey vicariously! What a wonderful gift in my inbox, to explore the Feather Islands as I sip my coffee, and absorb this beautiful morning of beauty in my own surroundings. Thank you for sharing! Your co-travelers must’ve had a blast! That is the best crane ever! I saw a glass-blower at the Minnesota State Fair many years ago and never forgot it. Totally fascinating! Interesting place. I just love that last shot. Cool giraffe 😉 Great, interesting photos! What a glorious outing. Love that crane too. 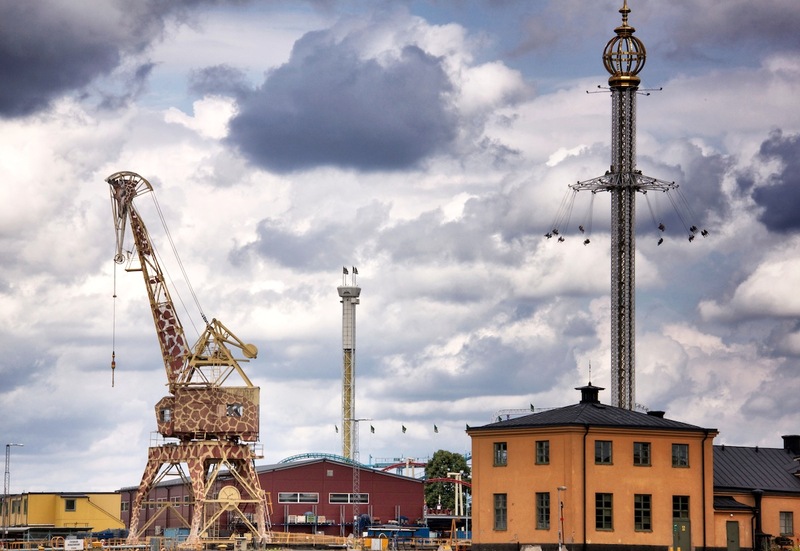 Great photos – I love the crane painted as a giraffe – and the island looks like a great place for a visit. What wonderful sights. I love the giraffe crane. I’ll bet the kids liked the hollow tree. That’s a beautiful view from the boat. What a wonderful day for all! What great details you chose for your photos. Dessert first always sounds like a good idea. Your daughter’s hair is gorgeous. Dear LadyFi, I sighed a deep sigh of contentment when I finished reading your posting and spent time looking at the photographs. How wonderful for the children to find a tree trunk into which they can step into a possible fairytale world. Peace. Excellent advice…Eat desert first. The giraffe crane is really cool. What a fun place to visit and explore.. I love the tree shot! A great family time! Wonderful photos, thanks for sharing your trip! Such an enjoyable journey with your beautiful children. A great series, I love the one with the two adventurers, and yes, that crane is a fun one. To see one of these formidable looking structures painted as a giraffe certainly turns it into something very endearing. 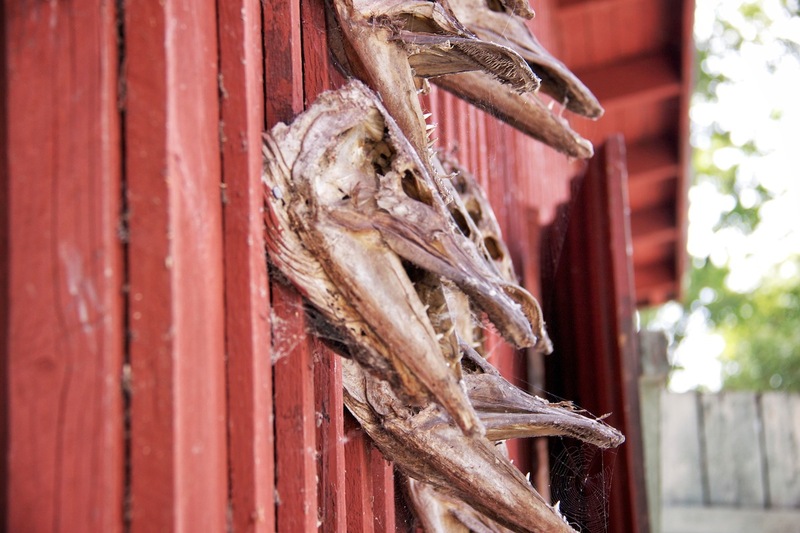 Each photo has its own beauty, even the fearsome looking pike skulls. Fun! I love the idea of starting off with dessert. Life is too short! The first pic is too good. beautiful pictures from your trip. What a good idea to start with dessert first. Looks like an interesting place to visit. Looks like you had a great time, love the dessert sign. what a nice excursion ! The feather shaped crane looks really funny ! I bet the children had the time of their lives! Icecream was also a favourite of my children and grandchildren. The first Norwegian word my children learned was “is”. We often went to Norway. That crane makes a marvellous start to the trip – I wonder how many people, every day, look at it, smile, and go on their way feeling just a little bit better! 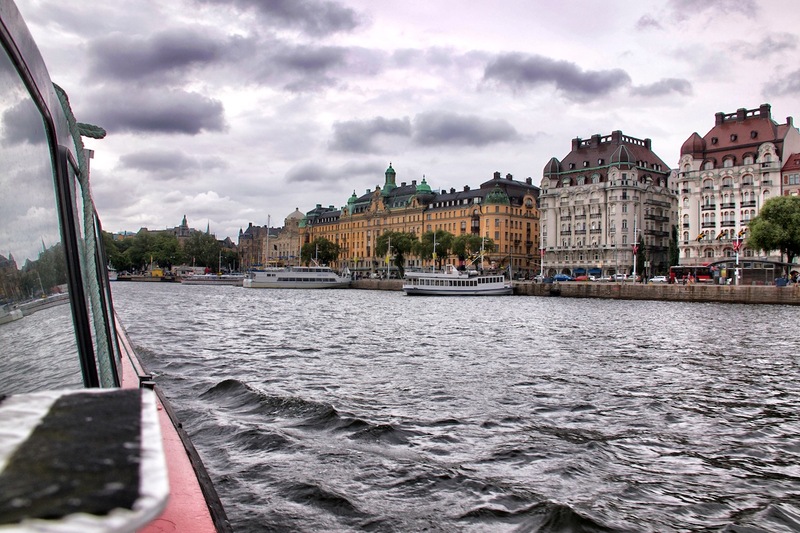 Very nice photos, I love the colors and details, very nice visit to Stockholm! even grey sky looks comfortable in your photos… i hope you enjoyed the trip!!! What a wonderful trip … thanks for capturing it for us. Ein informativer Ausflug mit schönen Bildern ! The last picture is of Stockholm, which is often called The Venice of the North. Always lovely sailing into Stkholm. A nice little vacation, especially with eating your dessert first. I think my two explorers have taken the line about dessert to heart! PS: the pike do look fierce, although I wish they were still swimming! Lovely pictures and that swing ride is really really high. 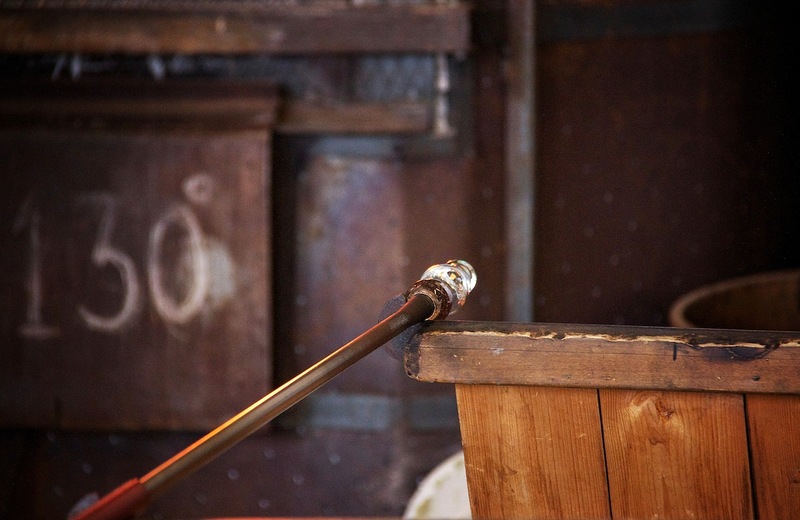 what a cool place…i love watching glass blowers…it is def a cool art…. 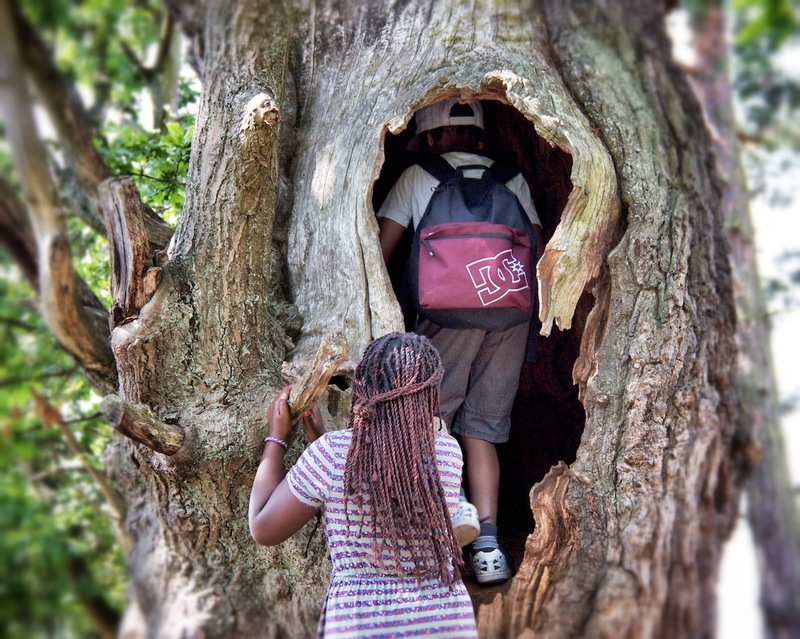 and the tree you can climb into..what fun for the kids…. What a glorious day of adventure and scenic tours…I would have loved to have been with you on this day. I find it ever so fascinating to watch glass blowers at work. You always seem to find the most amazing items to show us! The giraff crane is out of this world. I am sure the grandkids loved it too. Beautiful trip to Feather Island – enjoyed the sites! What a clever idea to paint the crane like a giraffe! It looks like the three of you had a very pleasant time on the island! What an amazing fun adventure. I love the painted crane and yum – ice cream. The kids look like they are totally enjoying their time there! Stockholm looks beautiful! I like the crane disguised to look like a giraffe!. Looks like a great place to visit. I love, love, love the skies! Beautiful adventures!!!! I love the girl’s hair! Sweet! Thanks. It took me two days to do my daughter’s hair. Wonderful shots. Looks like a great place for a vacation. What an adventure!! I loved those pike skull decorations. Very fearsome. The giraffe crane – how creative! Love the cafe. I would eat dessert first too. Oh, I usually do. Interesting and creative… a fun day. What a cool place! I love the giraffe crane!! 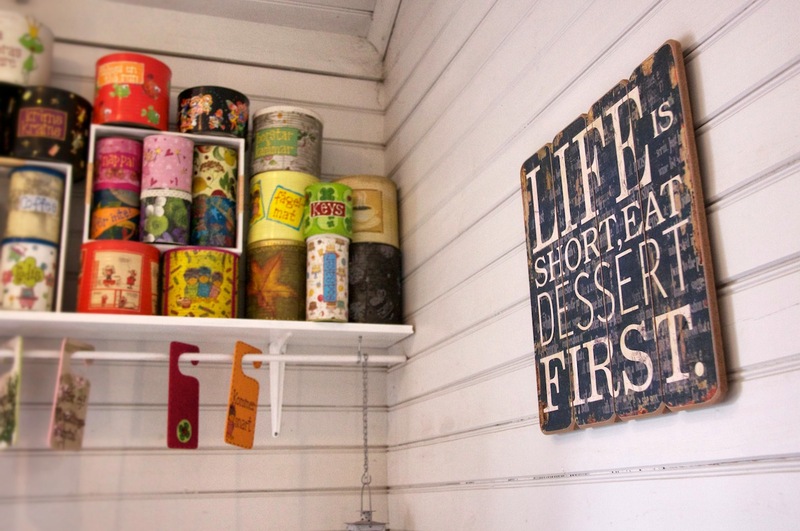 Life is short, eat dessert first has always been a good motto for me. Love that sign…. Your shots are filled with such beautiful and dramatic light. What a neat fun family excursion. It looks like a great place to explore secret places … for kids of all ages! The skulls do look scary! And the sky gorgeous! It looks like a fun time and the giraffe crane is lovely. If only all cranes looked like that our docks in Southampton would look much more fun. I’ve often thought they look like dinosaurs eating. Wow! More gorgeous photos of another beautiful place.